A team of retired former German professional football players, led by World Cup winner Guido Buchwald, will play a team of former Philippines international players in an exhibition match on 18 October at the Rizal Memorial stadium. Kick-off is at 2:30 in the afternoon. Also with the German legends are Dieter Eilts and Fredi Bobic, who were in the 1996 Germany team that defeated the Czech Republic to win the European Championship. Only three players of the initial 12-man line-up sent to this writer by Ake Pastoral of the PFF were uncapped internationally during the respective professional careers. Dieter Burdenski. Goalkeeper. Aged 63. Burdenski was capped 12 times by West Germany between 1977 and 1984. He was with the West Germany squad that travelled to Argentina for the World Cup in 1978, although he failed to get a game. Although he played 3 matches in the qualifying stage of the 1989 European Championship, he was omitted from the squad that played in the tournament proper. Burdenski began his career at FC Schalke 04 and also played for Arminia Bielefeld, AIK Stockholm, Vitesse Arnhem and Werder Bremen, where he ended his playing days. Michael Schulz. Defender. Aged 53. 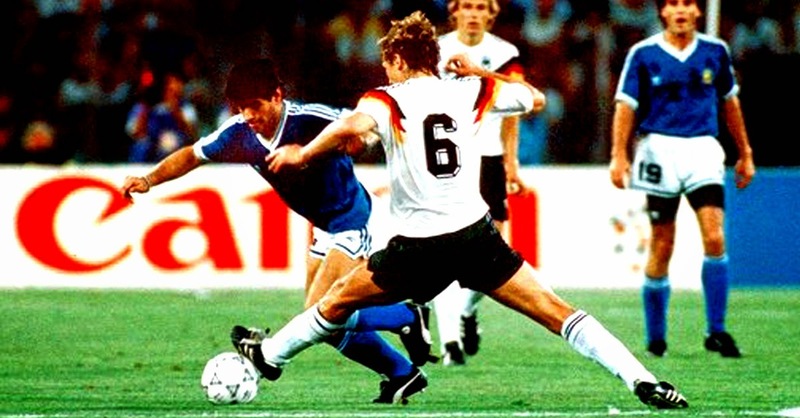 Schulz played 7 times for the German Olympic team in the 1988 Olympics held in Seoul and also won 7 full international caps for Germany between 1992 and 1993. Schulz began his professional career with VfB Oldenburg and also played with 1FC Kaiserslautern, Borüssia Dortmünd and Werder Bremen. Jörg Heinrich. Defender. Aged 44. Heinrich played all of Germany’s 5 games in the 1998 World Cup in France and won a total of 37 caps between 1995 and 2002. He began his professional career with FC Freiburg in the Bündesliga, where he also played for FC Borüssia Dortmünd and FC Köln. He also had a stint with ACF Fiorentina in the Italian Serie A.
Dieter Eilts. Defender. Aged 49. Eilts is an acclaimed former Germany international who won a total of 31 caps between 1993 and 1997. He was a mainstay of the German team that won the European Championship in 1996. A one-club man, Eilts was with Werder Breman from 1984 up until the time he hung his boots up in 2002. He has also managed the club Hansa Rostock as well as the German under-21 team. Guido Büchwald. Defender. Aged 53. Büchwald is a World Cup-winning German footballer who marked Diego Maradona out of the 1990 World Cup final in Rome. He was also part of the 1994 Germany squad that crashed out of the World Cup in the USA at the quarterfinal stage. Büchwald began his professional career with Stüttgarter Kickers and also played for Vfb Stüttgart and Karsruhe SC. He also has a spell in the J-League with the Urawa Reds. Lars Unger. Midfielder. Aged 42. Unger won 11 under-21 caps for Germany from 1992-1993 but failed to make the step up to the full German international team. He began his club career at Werder Bremen and subsequently played for Fortuna Düsseldorf, Southend United (England), SC Bregenz (Austria) and Brinkumer SV, where he ended his playing days. Marco Reich. Midfielder. Aged 36. Reich won 11 under-21 caps for Germany between 1997 and 1998 but was selected for the full German international team only once. This was during a 3-all draw with South American side Colombia in a friendly played in 1999. Reich is a well-travelled player who suited up for several German clubs and also had stints with clubs in England, Poland and Austria. Thomas von Heesen. Midfielder. Aged 53. Von Heesen won 6 under-21 caps for West Germany between 1981 and 1985 but failed to make the step up to the full international team. He spent 14 years of his professional career with Hamburger SV in the Bündesliga before moving to Arminia Bielefeld, where he ended his career, in 1994. Ansgar Brinkmann. Midfielder/Striker. Aged 45. Brikmann is an uncapped former German professional footballer who played for a number of clubs, among them 1 FSV Mainz 05, Eintracht Frankfurt, Arminia Bielefeld and Dynamo Dresden. Fredi Bobic. Striker. Aged 42. Bobic won 37 caps playing for Germany during a 10-year international career between 1994 and 2004. He was a member of the German squad that won the European Championship in 1996 and also represented his country in the 2004 edition of the same competition held in Portugal. Bobic played, among other clubs, for Vfb Stüttgart, Borüssia Dortmünd, Hannover 96 and Hertha BSC Berlin. He also had a spell on loan with Bolton Wanderers in England. Martin Driller. Striker. Aged 44. Driller is an uncapped former German professional striker who played for, among others, Borüssia Dortmünd, FC St. Pauli, 1 FC Nürnberg, SpVgg Bayreuth and FC Ingolstadt 04. Olaf Marschall. Striker. Aged 48. Marschall received 4 international caps from East Germany between 1984 and 1989 and another 13 caps from Germany after reunification. He began his professional career with the East German club 1 FC Lok Leipzig and also played for Admira Wacker in Austria as well as German clubs Dynamo Dresden and 1 FC Kaiserslautern. He ended his career with the UAE club Al-Nasr Sports Club Dubai.